Audi says it will take years before the solutions it has developed for its Formula E car (shown) make it into a production vehicle. The Dec. 15 start of the fifth season of the Formula E electric race series brings yet more automakers onto the starting grid with the addition of BMW and Nissan. They join Jaguar, DS, Audi, Mahindra and the Chinese electric brand NIO, while the 2019-20 season will see the arrival of Porsche and Mercedes-Benz. The series’ growing popularity with some of the world’s biggest brands underlines the importance of electric cars to their future lineups. But is getting onto the starting grid purely a marketing exercise for these companies, or is important technical knowledge flowing from the race machines to the road cars? To do well in Formula E, you need to create a car that is not just good at driving fast around a twisty street circuit but also masters the same efficiency techniques that can make the difference between success and failure for a road-going electric car. “Formula E is really an efficiency series,” McNamara said. “You have got inefficiencies in the motor, inverter and transmission; and locked into that is how fast you are running your motor. So, you have got a lot of variables you are trying to manage.” As far as Williams is concerned, it developed an algorithm to determine the battery’s health. 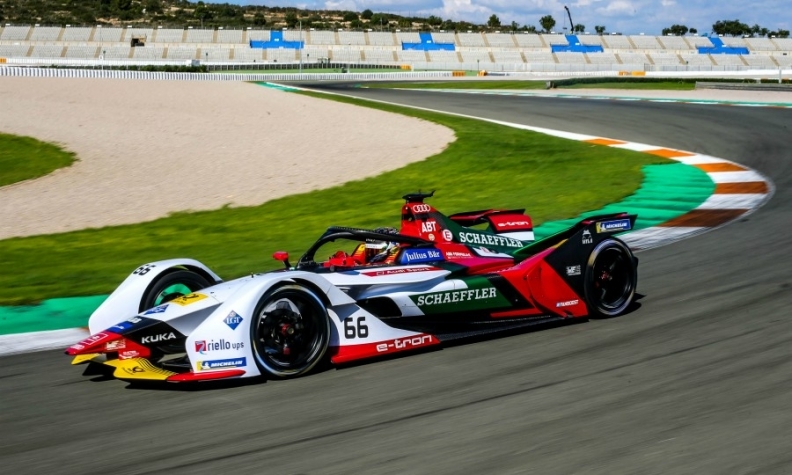 The company says that will be applied to the battery pack in the first electric car for its customer, Aston Martin, another manufacturer that has expressed interest in Formula E.
One problem is that the Schaeffler drivetrain Audi uses is specifically tuned for the McLaren battery pack with its range of 900 volts, far more than production electric cars. Another is that the motor-generator unit, inverter and transmission are sealed for the entire season, as per the rules. That might prohibit midseason upgrades, but it has one big advantage in keeping the costs down -- another reason Formula E is so appealing to manufacturers more used to the hundred millions needed to compete at the top of Le Mans or in Formula One. “It’s very cost-effective at the moment,” Summerscale said. Rules laid down by motorsport governing body FIA stipulate that the car cost no more than 817,300 euros, the price teams are limited to charging non-works teams to run their car. Of that price, 200,000 euros is the battery, 299,600 euros the chassis and 250,000 euros the drivetrain. “A complete LMP1 [Le Mans] car would cost millions,” said Summerscale, formerly technical project leader of Audi’s hugely successful Le Mans program. As audiences grow, that makes for pretty cheap marketing. Nissan, which swapped with alliance partner Renault to join this season’s grid, said Formula E will be effective at promoting its electric cars. “It absolutely shows EVs are exciting,” said Gareth Dunsmore, Nissan Europe’s electric vehicles director. Traditional motorsports fans might criticize Formula E for its lack of noise, but it can’t be denied the races have been exciting. The tight regulations also mean customer teams have as much chance as winning as automakers’ teams. For example, last year China-backed Techeetah won the driver’s championship in a customer Renault car. The drivers themselves are mainly former F1 stars, adding to the appeal.